Ever since a witch mobile mysteriously appeared above her cot at Templeton Orphanage when she was a baby, Bella Donna Jones has been obsessed by witches! For years, she succeeds in putting off all would-be adoptive parents with her behaviour. Then along comes Lillith, who Bella really likes. Bella goes to live with her on Coven Road, and tries to be the model girl – wearing pink and being ever so polite. But when Bella comes home early one day, she discovers that Coven Road is really a road of witches! 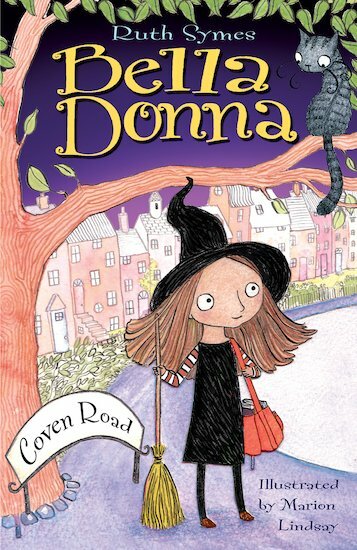 A funny, sweet and spooky story full of magical antics, with adorable illustrations. i hope this book will be very nicely illustrated with an author. people might like this book but i go for narnia and roald dahl series it even said that on the book wizard!.